Selenium in the Elk Valley: Are we locking in centuries of water pollution? Late last month, Teck Coal announced plans to shut down their Line Creek water treatment plant. 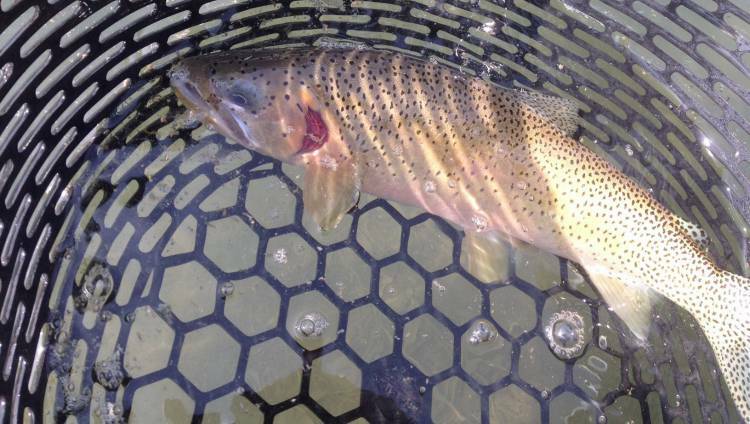 The plant was designed to remove selenium contamination from water flowing out of mine waste dumps and into the Elk River, but instead it is releasing much more toxic forms of selenium into the Elk River watershed. In other words, the water treatment plant is making the selenium pollution downstream worse. Selenium, which leaches from waste rock dumps at the Elk Valley coal mines, is taken up by fish, birds and amphibians in concentrations that can prevent reproduction and cause birth defects. The Line Creek treatment plant was also the source of water pollution that killed dozens of fish in 2014, for which Teck pleaded guilty to offences under the Fisheries Act earlier in October. 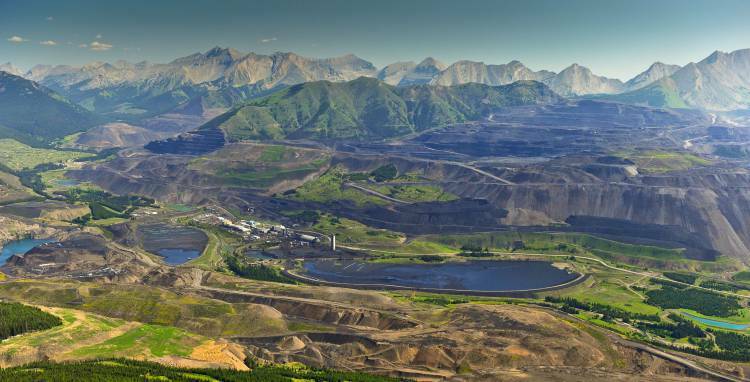 Teck’s plans to shut down the plant have not yet been approved by BC’s Ministry of Environment, due to uncertainty about the impacts of the closure on the broader watershed. A fish with a missing gill plate, a common deformity caused by selenium. The Line Creek treatment plant is just one of many planned plants in the Elk Valley, the centerpieces of Teck’s government-mandated Elk Valley Water Quality Plan. With the planned shutdown of the Line Creek plant, and plans to add an additional treatment step in the hopes of addressing the selenium toxicity problem, it’s clear that Teck won’t be able to meet their commitment to have two working treatment plants by 2018. But the real issue is that there is still no long-term solution for the selenium leaching problem—pollution that will flow into the Elk River and downstream into the Kootenay River for many centuries. No one expects these treatment plants, which cost millions to run every year, to operate for centuries. Our federal and provincial governments must start taking the long-term selenium pollution issue seriously. We’re facing centuries of water pollution and we desperately need some leadership from government. This problem has been known since the 90s, and it’s time to move beyond band-aid solutions. We’re long overdue for a change in mining practices in the Elk Valley, so that the waste rock being dumped today isn’t making the long-term selenium problem worse. In 2010, the independent Strategic Advisory Panel on Selenium Management urged Teck to make changes to their mining practices to prevent selenium from leaching into water in the first place. These recommendations have largely been ignored while Teck’s efforts have focused on cheaper short-term water treatment options. Where is the plan to address the long-term pollution problem? For how long will our government let more selenium-leaching waste rock pile up, locking in higher pollution levels every day, with no credible plan to stop centuries of contamination? With so many toxic mining legacies scattered around our province, it’s high time we learned our lesson. Step one: stop making the problem worse. Since Teck is reaping record profits in the billions in the Elk Valley, they can afford to do better. Mining practices in the Elk Valley need to change today to stop building up more selenium-leaching waste rock dumps. Elk Valley coal operations. Photo (and top photo) by Garth Lenz. Selenium pollution in the Elk Valley and Teck’s treatment plant are complex subjects, so we’ve prepared a short FAQ in the hopes of making the issue more clear. How does selenium affect fish and other aquatic life? Selenium is a chemical element and is actually needed in very small quantities for life. However, when there is too much selenium in the water, it enters the food chain, generally passing from algae into insects and then into fish and other aquatic life like amphibians and birds. Fish that have too much selenium in their bodies are at risk of being unable to reproduce or producing fewer offspring, and of birth defects, like missing gill plates and spinal deformities. How does selenium get into our rivers? Selenium often occurs at relatively high concentrations in and near coal deposits. In the Elk Valley, coal mining involves blasting and moving huge quantities of rock to get at the coal underneath. This waste rock is dumped in the valleys between the mountains, eventually filling them. Water runs into these former valleys, now filled with loosely-packed rock, and selenium leaches into the water as it percolates through the waste rock. Water coming out the bottom of the waste rock dump can have very high levels of selenium, along with other pollutants. What can be done to stop selenium pollution in the long term? Because selenium leaches slowly from waste rocks, the water flowing out of the waste rock dumps is expected to have high selenium concentrations for many centuries. We can’t rely on expensive active treatment processes to remove selenium from the water for centuries, so the only real solution is to keep the selenium out of the water in the first place. A number of different techniques have been proposed and tested on small scales, but they all boil down to either keeping the water out of the waste rock dump or keeping oxygen out of the waste rock dump (without oxygen, selenium leaching is greatly reduced). You can read more in the Strategic Advisory Panel on Selenium Management report. The problem is that these alternative methods of building waste rock dumps cost more than just dumping the waste rock in the nearest valley. It’s cheaper in the short term to build a water treatment plant to remove selenium than to change mining practices to keep the selenium out of our water in the first place. For a publicly traded company like Teck, centuries are far beyond their timeframe. How is the Line Creek treatment plant making the selenium problem worse? The treatment involves a biological process that removes selenium from the water—and it does work. Unfortunately, biology is complex and it turns out that in the process some of the remaining selenium is being converted into forms that are many times more easily taken up into the food chain than the normal form of selenium. The end result is that total selenium downstream of the plant is lower, but because of its higher bioavailability, selenium levels in fish downstream are higher than they would be if the treatment plant weren’t operating. Teck has a plan to add a chemical process to the treatment to convert these more bioavailable forms of selenium to the normal form, but it is not yet installed. How are allowable levels of selenium downstream of the Elk Valley coal mines determined? The selenium problem coming from the Elk Valley coal mines has been known since the 90s, but it was only in 2013 that the BC Government ordered Teck to develop a plan to get a handle on selenium pollution (and other types of pollution including nitrate, calcite, cadmium and sulphate). Teck worked with their consultants under BC’s professional reliance system, and with a technical advisory committee of experts and government, to develop acceptable levels of pollution based on acceptable levels of reproductive failures in fish and other aquatic life. The resulting document, Teck’s Elk Valley Water Quality Plan (PDF) sets out the maximum levels of selenium at various locations in the Elk Valley and downstream, with targets coming into effect over the next 16 years. As BC has only a water quality guideline for selenium, not a legal maximum, the Elk Valley Water Quality Plan selenium targets, developed by Teck, their consultants and the technical advisory committee and ultimately approved by the province, are many times higher than the BC water quality guideline. There are two additional wrinkles: Environment Canada and Montana. Environment Canada has no regulations on selenium, but by default it is a contravention of the Fisheries Act to pollute streams with fish in them. Since a regulation for selenium is being developed, but won’t be ready for at least a few years, it isn’t clear if Environment Canada is willing to enforce the Fisheries Act in the Elk Valley. As water from the Elk Valley flows into the Kootenay River and the Koocanusa Reservoir, which crosses the US border into Montana, there is a lot of concern from south of the border about selenium pollution. The US has their own rules about selenium, but of course they can’t enforce their rules in Canada.